We offer quality Sheet Fittings that are specially crafted by our expert team of artisans. These are known fro features such as sturdily designed, finely polished, durability, perfect finish and corrosion resistance. We make's all kinds of Saddlery products in 3 type's leather & synthetic material. Natural Leather with wax Finish. Sued Leather Seat leather seat. Type Sheet Metal Fitting Size Customized Material Iron Note : Prices of our product are vary from 1 to 100. Our company has gained name and fame in presenting Sheet Metal Fitting. Our firm specializes in offering a wide assortment of Brass Sheet Metal Fittings. 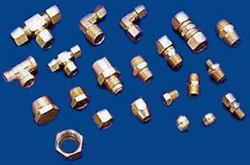 The metal fittings offered by us are inspected on various parameters so as to assure its excellence. Owing to our rich industry experience, we are able to offer premium quality range of Carbon Steel Sheets. Our product line is in sync with industry norms, and can be custom made to suit the individual requirements of our clients. Besides, these precision engineered sheets are available as per the requirements of our clients at affordable prices. We use superior grade of metals to manufacture sheet metal parts used in making water purifier. We ensure that our products have zero toxicity level which is very necessary in manufacturing water purifier. These products are highly acknowledged because of their excellent resistance to corrosion and chemical impurities present in water. Avail from us a comprehensive collection of Sheet Metal Fittings that we design and offer as per the specific application demands. All these are designed and developed using quality material of construction and are subjected to stringent tests so as to assure their efficiency. 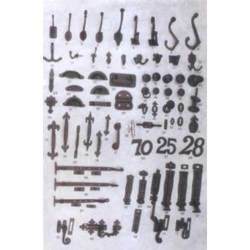 Our range is also known for accurate dimension, high strength and corrosion resistance. We are one of the quality manufacture of custom made sheet metal fitting components in coimbatore industry. We manufacture sheet metal components from the premium grade metal sheets. The metal sheets we generally use are steel and aluminium. Our sheet metal components come in a variety of industry uses like automobiles, electrical, electronics, engineering and heavy metals. - Caps, Elbows, Concentric/Eccentric Reducers, Stub-Ends, Tees Seamless - EFW, ERW, and Forged. - Sizes: ¼ - 80. Best product guarantee having more smooth finish, more life.